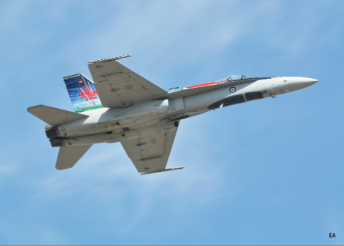 Generally known as Canada�s largest annual air show, this year found it listed in the world�s top ten of airshows as reported in USA Today�s travel section, February 26 issue. 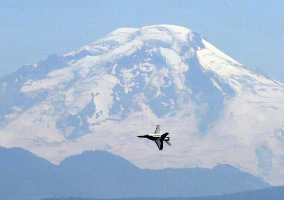 Severe financial cutbacks in the United States budget brought a halt to participation by all American military aircraft in this year�s airshow activities throughout the United States and elsewhere. The �Sequestration� action had a tremendous impact on all airshow events; primarily the stand down of the USAF Thunderbirds and US Navy Blue Angels precision air demonstration teams. Regardless of the absence of the United States Military crowd and their welcome flying machines, the industrious Abbotsford Air Show organizers and volunteers evidently applied heavy efforts to ensure a stellar and action packed program for the fans, this 51st edition of the Abbotsford International Airshow. 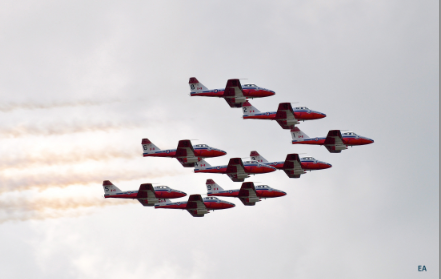 The Canadian Forces �Snowbirds�, 431 Air Demonstration Squadron, and their steadfast Canadair CT-114 Tutor jets were the anchor guests of this year�s event, hosted at the Abbotsford International Airport. The nine-plane Royal Canadian Air Force team, widely held as ambassadors of the Canadian Armed Forces, this year achieved notable milestones in their history � 70 years, a legendary squadron, since it�s founding during WW II and, the 50th Anniversary of a storied aircraft, the vigorous CT-114 Tutor. Truly deserved, a Salute to the RCAF �Snowbirds� in keeping with this season�s commemorative theme, �Pursuit of Excellence�. 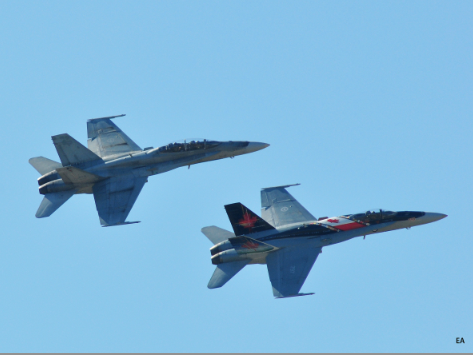 Joining their aerobatic brethren �Snowbirds�, from 4 Wing Cold Lake, Alberta, came the first-line CF-18 Hornet Demonstration Team. With smartly painted tail fins and dorsal artwork, the Demo Hornet driven by Capt. Patrick Pollen �Flocho�, who guided his mount through a dazzling flying display of maneuvers highlighting the possessed raw power, speed and what could only be called, Jet-Thunder, had all eyes skyward. The Canadian Forces �SkyHawks�, Canada�s only military parachute demonstration team, were also a welcome contribution to this year�s Canadian military forces participation. 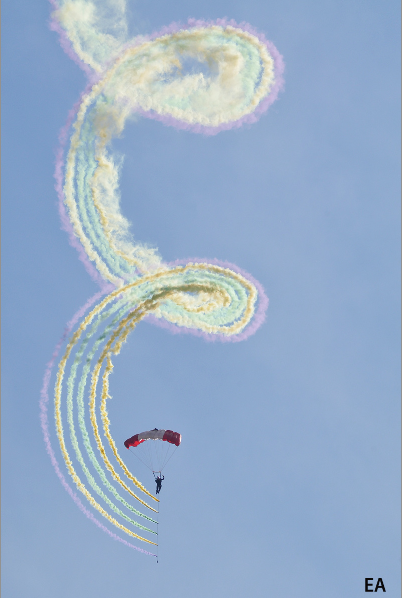 The dynamic �SkyHawks�, with their signature Canada Flag Ram-Air Chutes, have captivated audiences worldwide for over 40 years � better than 4200 shows before over 75 million spectators. Departing a C-130J Hercules flight platform at some 10,000 feet, the exclusive 12 member �Skyhawks� team perform the most demanding aerobatic sequences anywhere as they drive their parachutes earthward to show center, capped by the colourful �Candyman� routine. 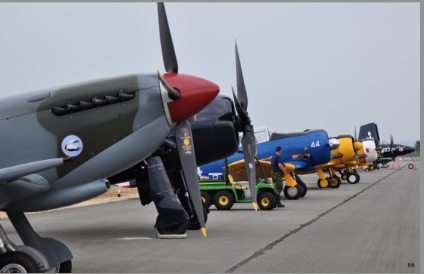 Numerous vintage warbirds and other classic aircraft were also on the ramp for ground and flying display. 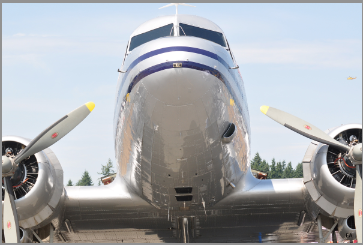 The Canadian Museum of Flight, Langley, B.C. 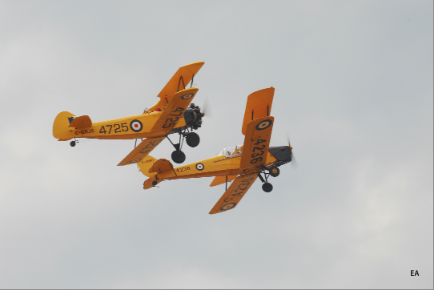 flew in their deHavilland DH 82C Tiger Moth, a Fleet Finch trainer and a NA Harvard Mk IIB for flying displays. The Heritage Flight Museum, based at Bellingham, WA Airport sent along their pristine P-51D Mustang �Val Halla�. 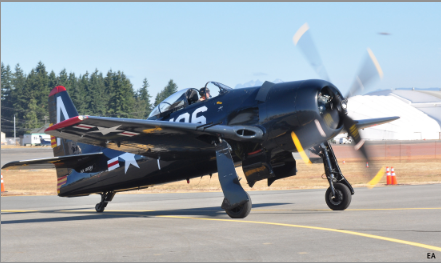 Five exceptional aircraft from the Historic Flight Foundation at Paine Field, Everett, WA were also on the roster � an unusual F7F-3 Tigercat, �Bad Kitty�, a Vickers Spitfire Mk. IXe, an F8F-2 Grumman Bearcat, a 1943 B-25D Mitchell bomber �Grumpy� and their latest addition, a 1943 Douglas DC-3, restored in a 1949 livery of a Pan American Airways System passenger plane. The bonus visitor was to be a rare Curtiss P-40N Kittyhawk, painted in RAF wartime Desert Air Force markings. Vintage Wings of Canada however, advised that the P-40 had developed mechanical problems and was not available. Certainly a disappointment, but all the other vintage aircraft were an exciting surprise for all of us, particularly those with a penchant for the sights and sounds of old time piston-powered flying machines. 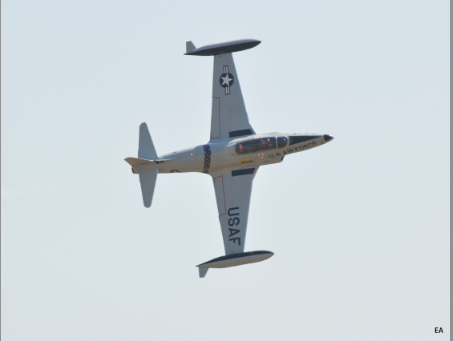 Some newcomers at �Abby� this season included, the 4CE Formation Aerobatic Team, Extreme Firebirds and the �Ace Maker�, an ex-military Lockheed T-33/Canadair CT-33 Silver Star, flown by an American west-coaster, Gregory �Wired� Colyer who did an impressive demo with his vintage jet trainer. 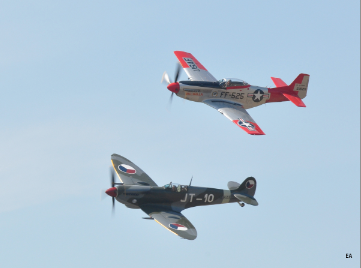 A couple of long standing performers at the Abbotsford Airshow also reappeared this year, offering to us a realm of quietness and graceful airmanship, only available from these two masters. 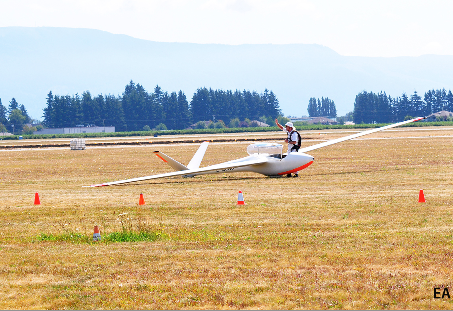 Manfred Radius, described as The King of Sailplane aerobatics, completely enthralls his audiences with his varied soaring routines from 6,000 feet, down to his famous inverted ribbon cut. Kent Piestch of Minot, North Dakota, and his 800-pound sidekick, a 1942 Interstate Cadet, high-wing aircraft has entertained air show crowds, it seems forever. His three fold storied acts � Dead Stick flight, moving RV landing and his comedy routine are incomparable and timeless. It is amazing though, how quickly the �big bang� noises draw crowds to the fence in a hurry. The Smoke-N-Thunder Jet Car did just that! Bill Braack, from a standing start to 400 mph in 8.5 seconds. Now, in any language, that�s called �movin� along�, especially when in a race with a jet plane. 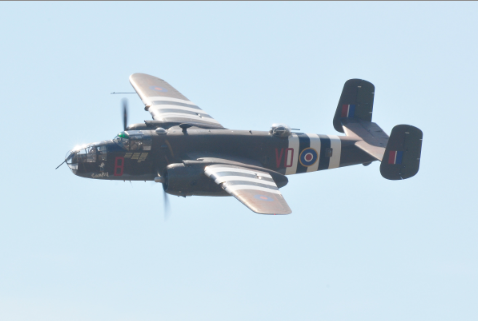 The three-day event also offered up mainly good weather, lots of exhibits, special ground attractions and, new this year, an Airshow Kids Zone that included; a climbing wall, a 9-Hole Mini Golf, carnival games, obstacle challenges and a Craft Zone. Moreover, there was a special appearance from Ronald McDonald and a bonus surprise visit from Mikey McBryan and Scott Blue, cast members of the famed Canadian docu-series �Ice Pilots NWT�. 2013 RCAF CF-18 Demo hornet flown by Capt. Patrick Pollen "Flocho"